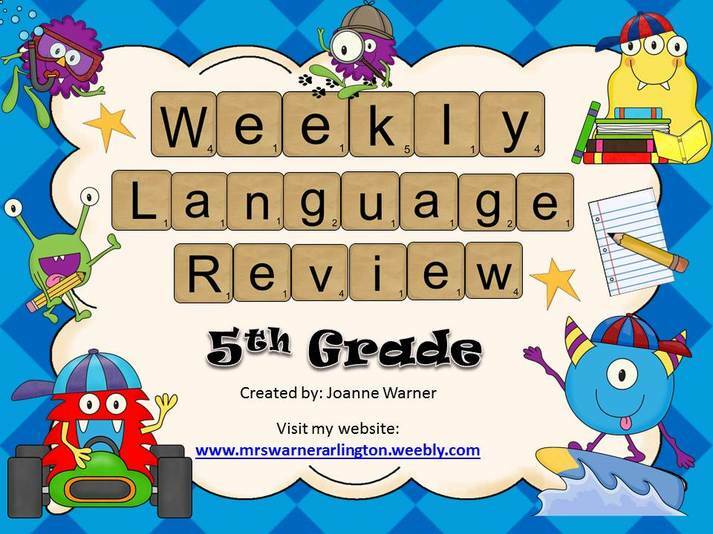 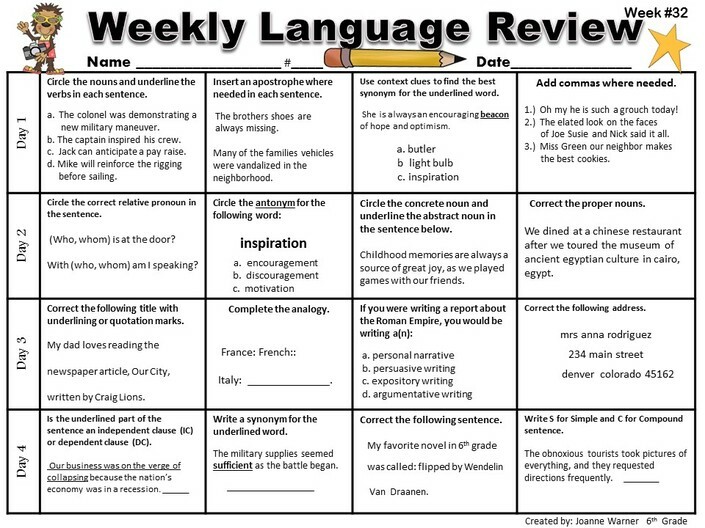 I've been amazed out how the "Weekly Language Review" has improved my students' mastery of language skills. 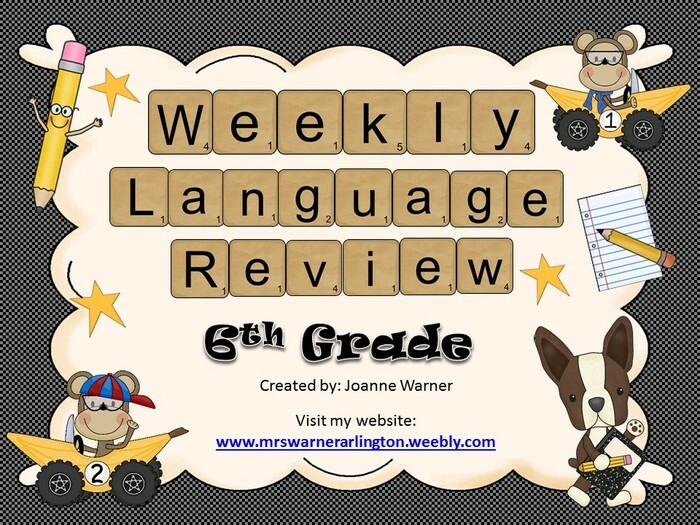 My school system has seen amazing success with our math program, Everyday Math, in large part to the spiral review that is built in with this program. 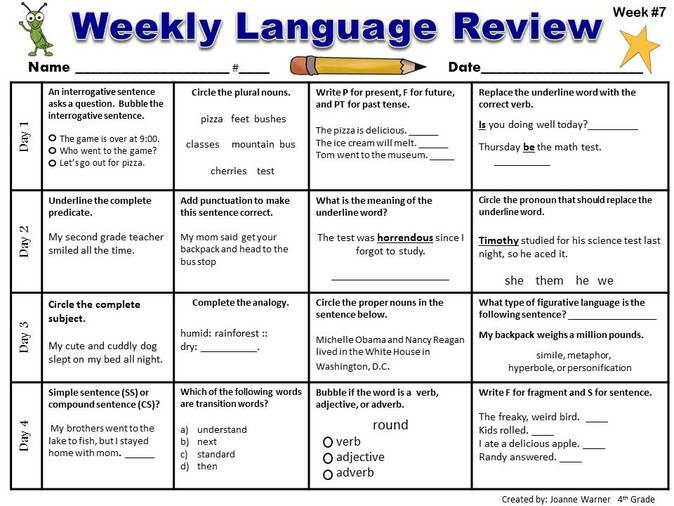 After 20 years of teaching, I am always frustrated with the lack of retention when it comes to language skills. 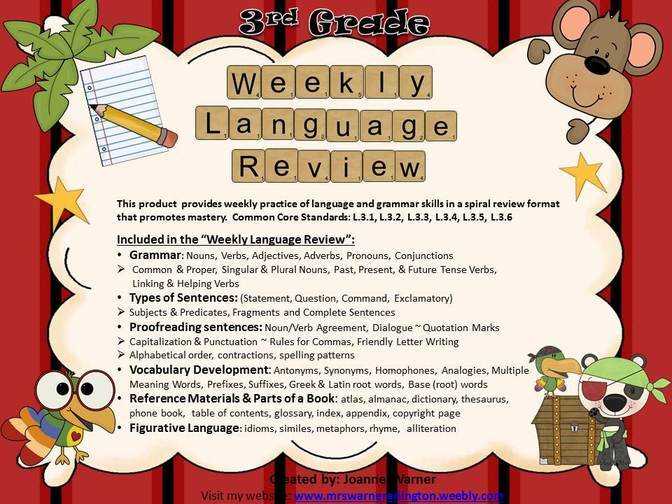 This product included 36 weeks of spiral review of grammar, language, and reading skills. 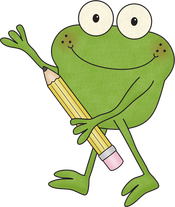 My biggest "Aha" moment was when my students told me that subjects and predicates are easy. 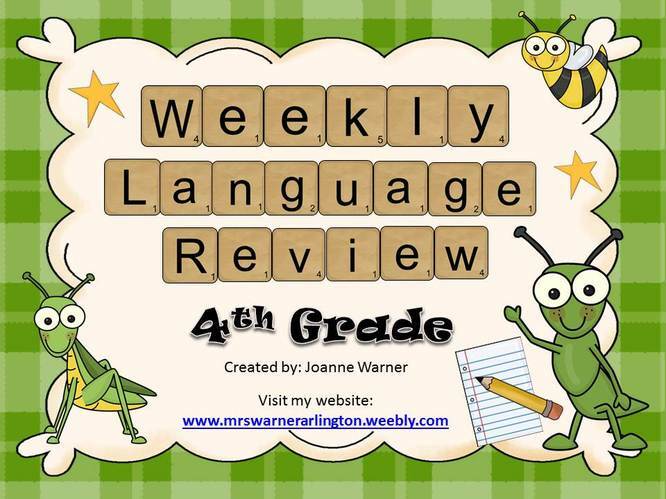 After the first 9 weeks of using this weekly review, I knew my students were "getting it"! 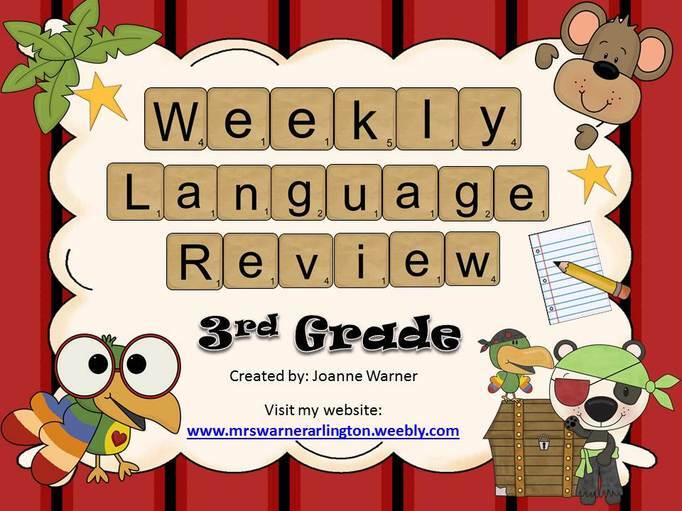 I'm hopeful that you will find the same results with your students. 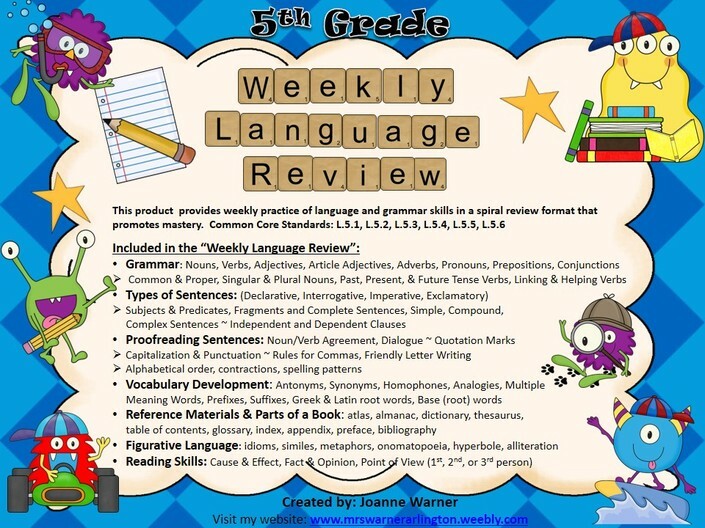 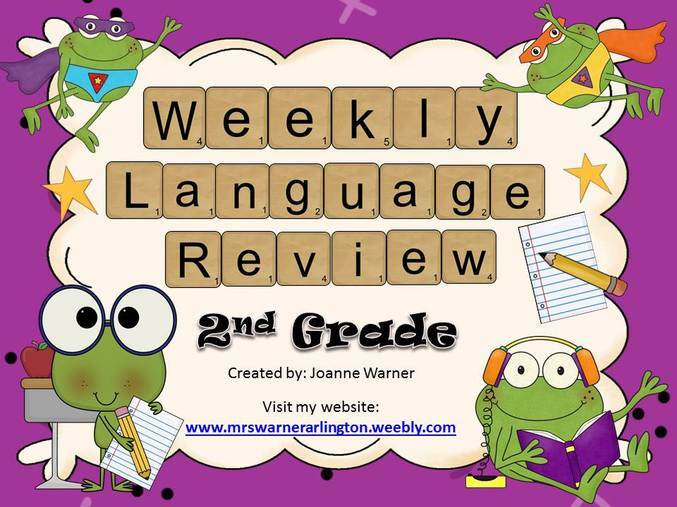 Sample Weekly Language Review ~ Click on above page to purchase. 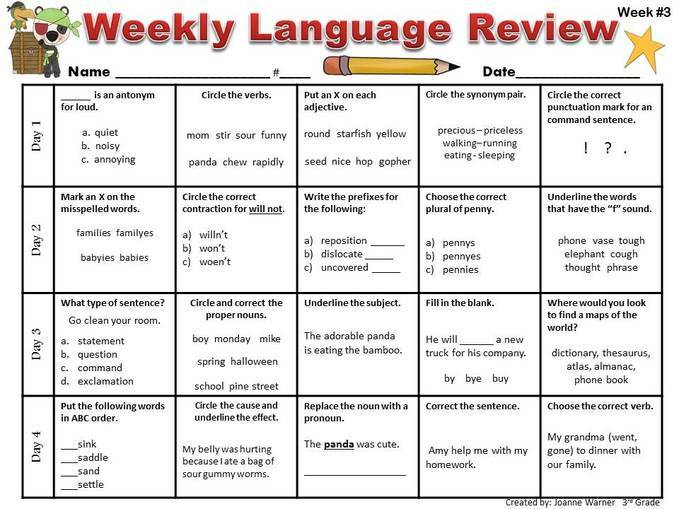 Sample Weekly Language Review. 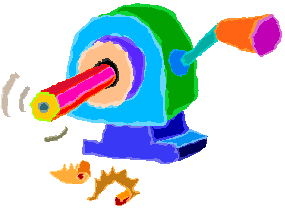 Click on above page to purchase. 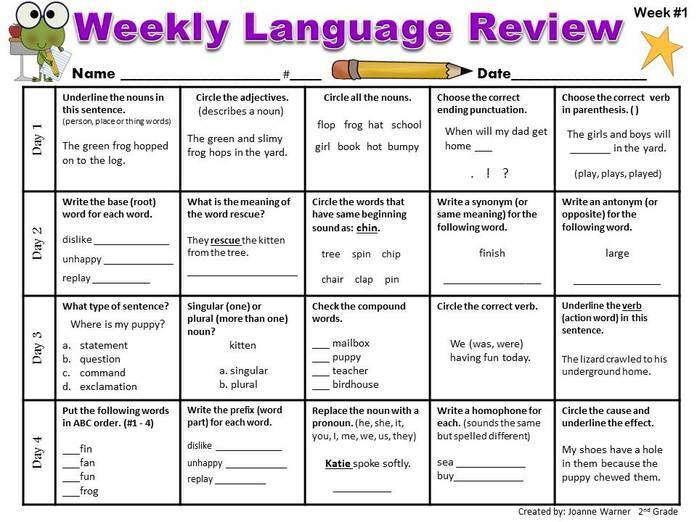 Sample Weekly Language Review Page ~ Click on page above to purchase. 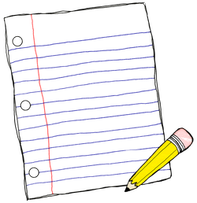 These can be edited for your specific needs. 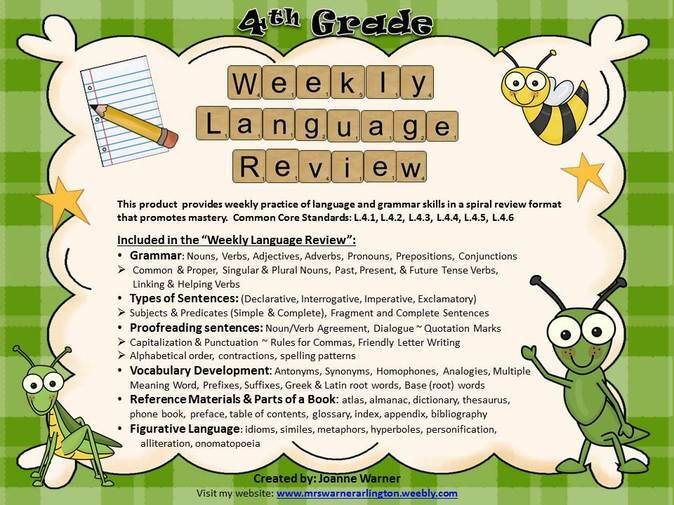 These products will help you customize the grammar and vocabulary skills that your students' need. 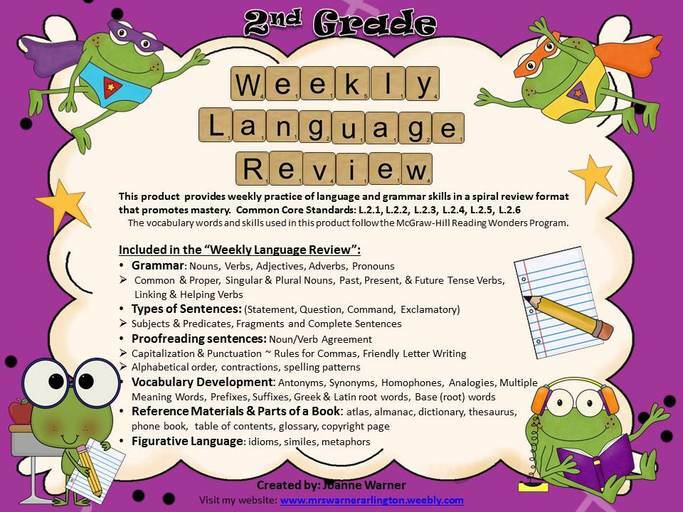 I have provided several sample pages from my complete full year review to get you started. 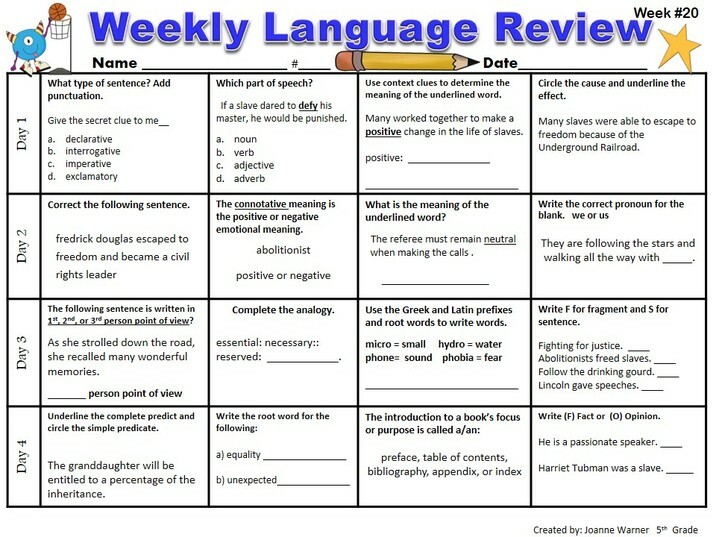 Along with an answer key template that can be easily copied and pasted to create your own answer keys.